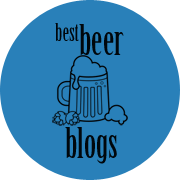 My February Beer Events post is up, but here is a special one solely dedicated to beer events on Valentine’s Day/weekend. There are several fun things to do with your sweetheart or your friends! Fri., Feb. 12-Sun., Feb. 14: Valentine’s Day at The Post Brewing Co. (105 West Emma St., Lafayette). For more information and to make reservations please contact The POST at (303) 593-2066. Sat., Feb. 13, 3 p.m.: Beer is My Valentine at Coda Brewing (2101 Ursula Ct, Aurora). Two beer releases, elegant music on stringed instruments, chocolate covered strawberries and THOU: a perfect Valentine’s Day celebration! Sat., Feb. 13, 6-7 p.m.: Beer and Cheese Pairing at Wonderland Brewing (5450 W 120th Ave, Broomfield). That time of year is quickly approaching. Yes, that time to get all ooey-gooey and show someone you care… And we know how you can do just that. Attend the Second Annual Beer and Cheese Pairing at Wonderland! Join us and The Cheese Course Boulder for a night out with three lip-smacking craft beers and three ooey-gooey gourmet cheeses paired with diligence. Your heart will be filled with love (and your tummy too…). How: Reserve your spot(s) by February 12th by visiting the Wonderland tasting room and purchasing your ticket with a beertender. Space is limited. Please arrive 15 min. early as we will begin right at 6pm. Sat., Feb. 13, 6-10 p.m.: Hoppily Ever After at Barrels and Bottles Brewery (600 12th St., Golden). We are re-marring or marrying 4 couples on Feb 13th. What a way to celebrate LOVE! Sat., Feb. 13, 7 p.m.: Sweetheart Soiree: A Dessert & Beer Pairing at Two22 Brew (4550 S Reservoir Rd, Centennial). Tickets bought before Monday, February 8th receive a free pint card with purchase. $2 of every sale go towards our charity of the month, Aurora Warms the Night. Sun., Feb. 14, 11 a.m.-10 p.m.: Anti-Valentine’s Day Party at Wynkoop Brewing Co. (1634 18th St., Denver). Ewww. Valentine’s Day giving you the creeps? Join us at Wynkoop for an Anti-Valentine’s Day affair with craft beer, people you don’t hate and free pool, all in a PDA-less environment. Why didn’t anyone think of this? Well we did. And you’re welcome. See you the 14th. 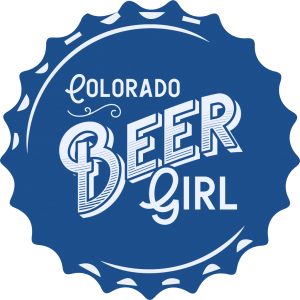 Sun., Feb. 14, 1 p.m.: Beer and Cupcake Pairing at Fiction Beer Co. (7101 E Colfax Ave, Denver). Fiction Beer Company and Cake Crumbs Bakery present a Beer and Cupcake pairing event! Choose from eight different beer and cupcake pairings! Come celebrate Valentine’s Day or come celebrate Single’s Awareness Day but dont miss the chance to celebrate beer and cupcakes! Sun., Feb. 14, 6 p.m.: Valentine’s Day Oyster & Beer Pairing at Alpine Dog (1505 Ogden St, Denver). We are teaming up with our friends from Colorado Raw to Bring you a catered oyster and beer pairing meal at the brewery! 4 oyster varieties with 4 suggested beer pairings then choose your favorite 2 oysters to go with your favorite pint! Seats are $30, then oysters after the pairing go for $3 a piece with $1 off pints! Reserve your spot via Eventbrite! Sun., Feb. 14, 6-9 p.m.: Valentine’s Day Beer & Chocolate Pairing at Denver Beer Co. (1695 Platte St., Denver). Denver’s very own Chocolate Lab will create some amazing, artisinal chocolates paired with variations of one of our favorite beers – Graham Cracker Porter! $25 for 4 GCP Beer Tasters + 4 Chocolates from Chocolate Lab. No tickets needed, just come into the Taproom between 6-9pm to get your pairing. 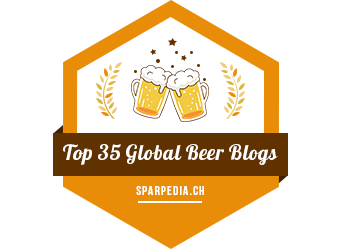 BEER LIST – CHOCOLATES COMING SOON! An 8% ABV version of Graham Cracker Porter aged on Nicaraguan Bella Aurora Coffee from Coda Coffee. Chocolate, Caramel, Graham Crackers, and Coffee. Oh yeah! GCP aged on dark chocolate, flaked coconut, and vanilla beans. 5.6% ABV, Kaapooowwww!!! Sun., Feb. 14, 12-6 p.m.: RiNo Love Triangle, hosted by Rackhouse Pub (2875 Blake St., Denver). Valentine’s Day progressive beer and cider dinner. 3 courses. 3 locations. 3 hour lovefest. Sun., Feb. 14, 11:30 a.m.-3:30 p.m.: Brushes & Brews and Time for Dezzerts at Dry Dock Brewing (South Dock: 15120 E. Hampden Ave, Aurora). This Valentine’s Day, Time For Dezzerts will be slingin’ Apricot Blonde cupcakes at South Dock (located at 15120 E Hampden Ave, Aurora, CO 80014) from 11:30am to 3:30 pm, and Brushes & Brews will take place in the barrel room at 2pm. Reserve your spot for Brushes & Brews here, and don’t miss our Valentine’s Day celebration! Join us on Valentine’s Day for a very special dinner devoted to all things barley and hops. For reservations call 720.638.5193, $50pp. Stay and Play in Loveland: These Valentines Packages Have Something for Everyone! Book your FUN Valentine’s Package, in and around Loveland, CO. Pick the tour that suits your style!